The legitimacy of an action lies inevitably in the clarity and requirement in the way that it operates, especially if financial. 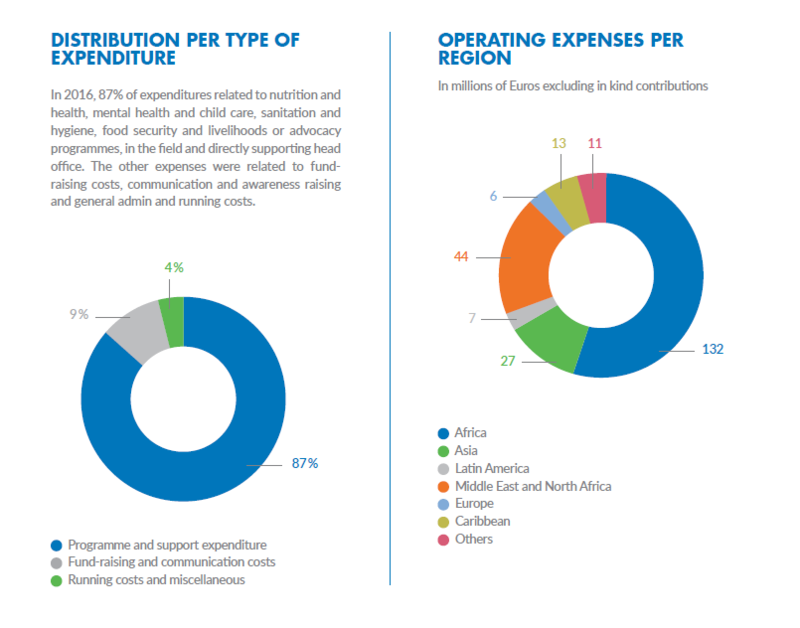 To fulfil this, Action contre la Faim prepares a full report of its activities every year (activity report), as well as the source and use of their resources (financial report). Action contre la Faim is an Association under French Law of 1901 and recognised as acting for Public Interest, and being the name issued by the French Council of State. For this reason, Action contre la Faim must submit their Annual Accounts to the French Ministry of the Interior and Foreign Affairs. Action contre la Faim is a member of the French Committee for the Professional Code of Conduct for Charitable Organisations calling on the generosity of the public. This supervisory body brings together French associations and foundations that respect a set of ethical principles with respect to budgetary rigour and transparency in accounts. Audits by approved independent Auditors guarantees a year-on-year disciplined approach to the management and transparency of our accounts, published each year. The large international institutional funders (ECHO, USAID) exercise continuous supervision over our accounts, at Head Office and in the field. Action contre la Faim may be audited at any moment by the French Court of Audits and IGAS (Inspectorate General of Social Affairs), just like any other organism. To be efficient and recognised, a humanitarian organisation never works alone. Action contre la Faim develops its programmes in an independent way. National cooperation agencies, especially European.